Now that Batman v Superman: Dawn of Justice is out in the world, for all to see (or not see), Warner Bros. can begin shifting gears to its next DC Comics property, Suicide Squad, which is due in theaters in August. Selling David Ayer’s super-villain team up will require more strategy than just throwing a Bat Signal in the air and declaring, "Batman and Superman are fighting over here!" Suicide Squad is made up of a series of lesser-known characters, so the push to educate begins… soon. Will Smith will be playing Deadshot in David Ayer’s Suicide Squad, and has agreed to bring an exclusive clip with him to the MTV Movie Awards, which will be aired Sunday, April 10, at 8 pm EST. As we reported, Smith will be receiving this year’s Generation Award, which makes sense, as Smith has been an industry titan for generations. And his casting as Deadshot in Suicide Squad proves that, despite a few recent misfires, Smith shows no real signs of slowing down. 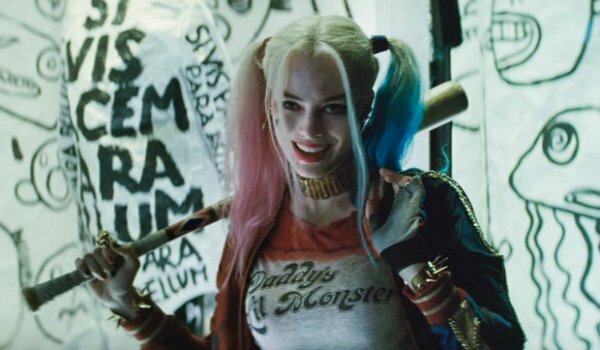 There are a couple of different ways that the new Suicide Squad footage can go. They can place the focus on Will Smith’s Deadshot… a popular DC character who we haven’t heard much about in this new movie. This could be a golden opportunity for Warner Bros. to start selling Smith’s involvement in this movie, because he’s a proven (i.e., bankable) star, so courting his fan base makes a ton of sense. At the same time, there are more marketable characters at play in Suicide Squad, so it’s possible Warner puts its eggs in the basket of The Joker (Jared Leto) or even Harley Quinn (Margot Robbie) – who, by most accounts, will be the breakout star of this crazed ensemble. Either way, we’re days away from getting what we hope will be a fresh, funny and exciting new look at Suicide Squad, a villainous thriller that will expand on the DC Cinematic Universe and open in theaters in August 5.